A smile - a ray of sun. To the heart ... looking for the key. 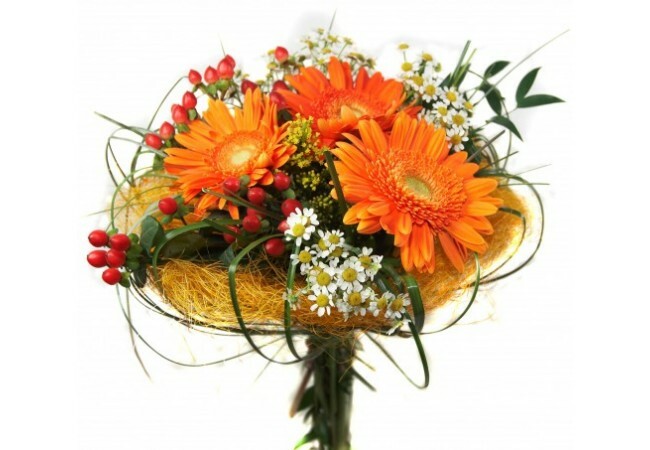 Description of the bouquet: This small bouquet on the frame is a great gift for a young fizgig. 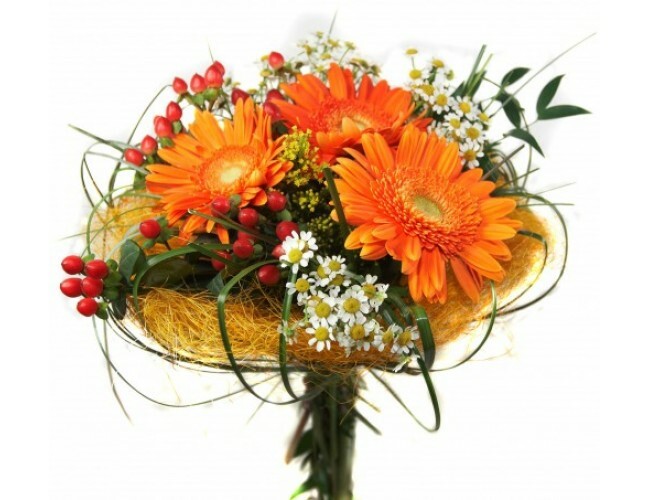 Composition of the bouquet: Gerbera orange- 3, hypericum, chrysanthemums, greens, frame, decoration.